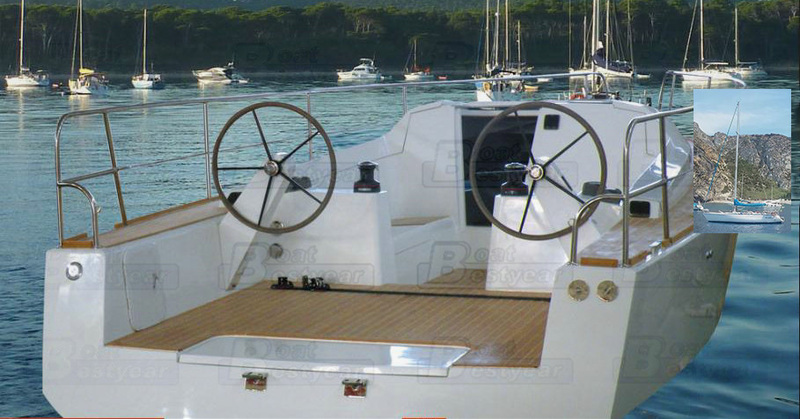 This luxury 35-foot sailboat is a fiberglass sailing boat which is designed and supervised by world's top designers. This model can not only meet all your requirements of speed, sports, entertainment, viewing and adventure, but also to bring you a new experience. 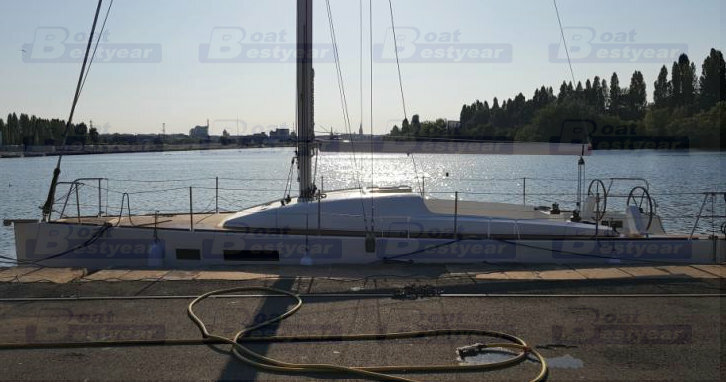 The hull is a fiberglass and the mast is La Rochelle brand and height 13.58m.The hull have a sleeproom with a double bed and FRANCE cabinet and the height is 1.85m for big area. 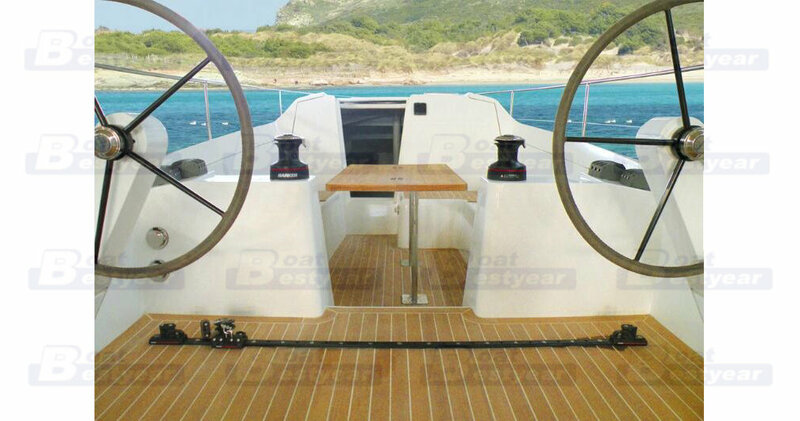 The hull also fits with hiking straps;adjustable stainless steel mast step;teak deck and room,stainless steel base plate with 4 holes;stainless steel base plate with 2 holes;stainless steel transom gudgeous with backing plates;tiller;rubber inserts;deck collar and stainless steel hook; The recommend power type is electrical motor.